Welding is one great, satisfying career that’s considered to be the key for numerous businesses. However, like other professions, it comes with its own dangers too, such as flying sparks, extreme temperatures, high voltages, and even toxic gases. This is where we come in. We’ll give you these 10 safety tips you need to keep in mind if you’re a welder. Ready? Read on, welder! Don’t weld in: places that have broken fire systems or sprinklers, areas with an explosive environment, and places exposed to materials that are ignitable. In connection to the first tip, always check the installed sprinkler, fire extinguishers, and fire systems before you work. You have to be extremely careful not to burn the place, so make sure everything works in case something bad and unexpected happens. Welding inevitably creates sparks, so ensure that the place you’re about to work at is free from fuel and wood. Otherwise, it’s like carrying your own lighter and starting a fire. Be cautious of fumes that are welding-related—they build up! If you have a small workplace, the fumes will build up faster compared to when you have a larger welding area. Make sure that your workplace is well-ventilated too. You need to be able to breathe properly. For your information, arc welding creates most fumes. 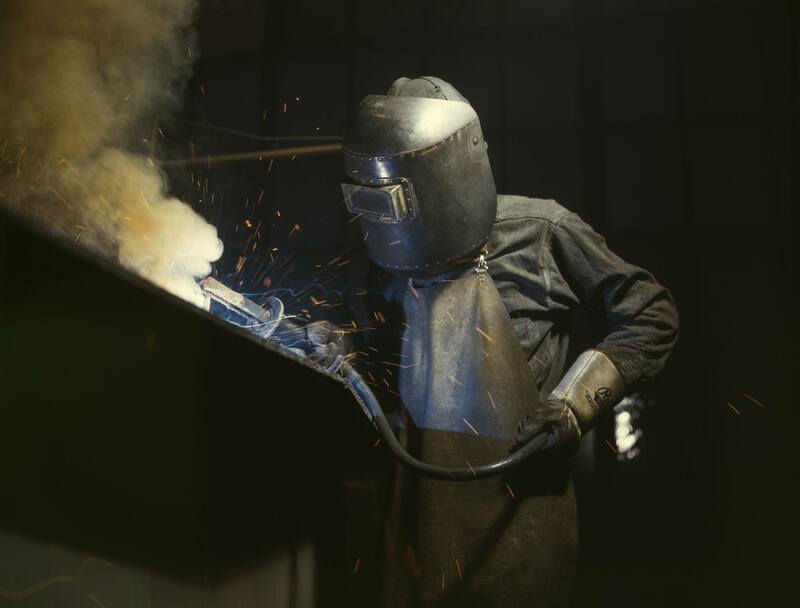 Welding fumes release manganese and if you’re constantly exposed to it, this can cause hearing loss and even Parkinson’s disease. 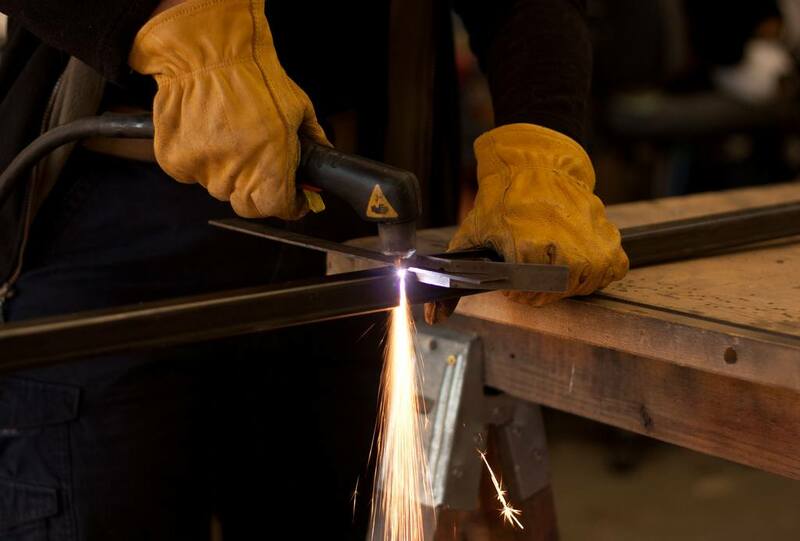 It can also cause symptoms similar to Parkinson’s disease such as tremors and poor balance—and we know how important it is to have a steady stance while welding. Check if there are respirators made available in tight places as well. In addition, mechanical ventilation should be in all the areas where welding takes place. Always wear an approved welding helmet and make sure special helmets that come with removable filters and cover plates are available and can be accessed easily. They’re useless if they can’t be found in a matter of seconds. Specially tinted goggles and a fire resistance jacket must be worn in all welding operations. Also, check your goggles or safety glasses for cracks or other defects before you begin welding. Your eyes are precious so protect them as much as you can. Be wise and wear hearing protection such as ear plugs or ear muffs to protect your ears against loud noises. If you don’t want to lose your sense of hearing, you better wear those ear muffs, my friend. When you cut, make sure you direct the spark away from you and other people. One more thing: Don’t forget to cut out and feather tacks. And when you need to use a plasma cutter, do so with caution! Your welding gloves should fit your own hands. Don’t borrow someone else’s gloves! It’s not only disgusting, considering the accumulated sweat and dirt of another person’s hand, it might not fit perfectly too. It should be totally comfortable for you, so the gloves should be yours. Gloves are important because they can protect you from hot surfaces while welding. However, if the welding process becomes extremely hot for your gloves, you can always use clamps or holders. TAKE NOTE: Your safety shouldn’t be optional! No matter how great you are, if you’re risking your health, you’re going to suffer someday somehow. Welding is gratifying and fun until you cut someone else’s finger or burn yourself. If you can’t keep all these tips in mind, you can always check the list. It’s better to prepare properly for something unexpected than have no preparation at all and let the unexpected catch you completely off-guard. 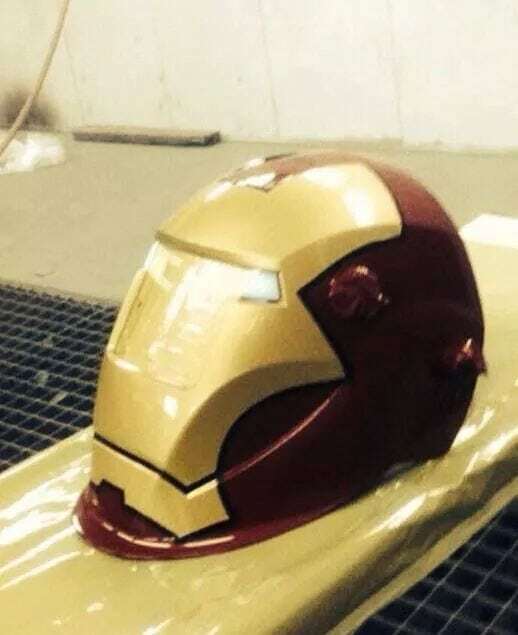 Remember, we don’t want accidents in the welding area but sometimes they’re unavoidable.